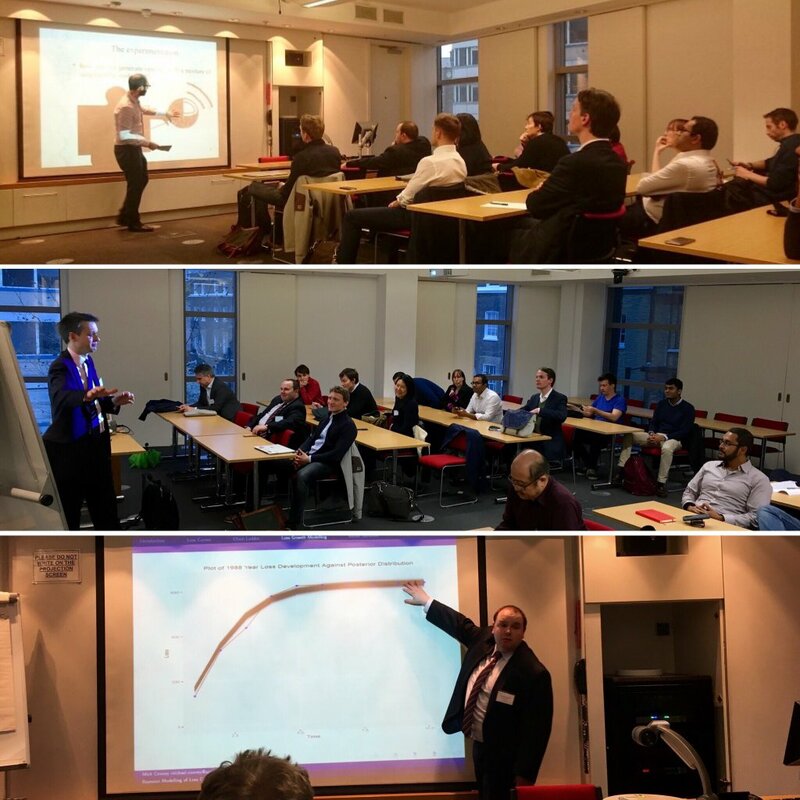 Last Friday the 2nd Bayesian Mixer Meetup (@BayesianMixer) took place at Cass Business School, thanks to Pietro Millossovich and Andreas Tsanakas, who helped to organise the event. First up was Davide De March talking about the challenges in biochemistry experimentation, which are often characterised by complex and emerging relations among components. The very little prior knowledge about complex molecules bindings left a fertile field for a probabilistic graphical model. In particular, Bayesian networks can help the investigator in the definition of a conditional dependence/independence structure where a joint multivariate probability distribution is determined. 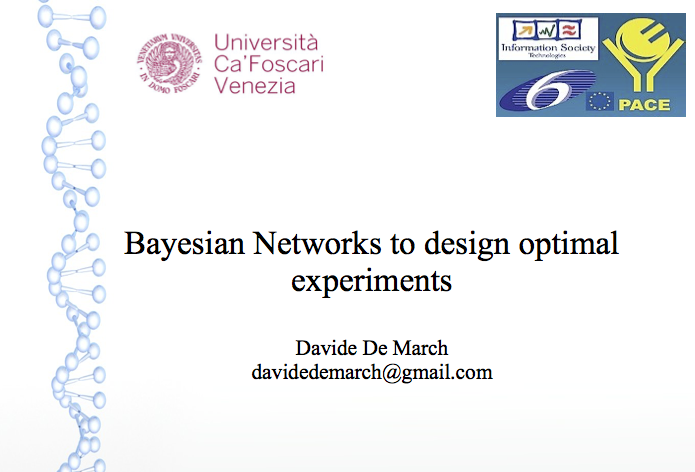 Hence, the use of Bayesian network can lead to a more efficient way of designing experiments. 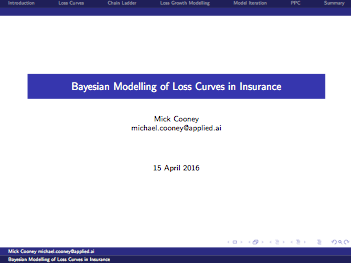 The second act of the night was Mick Cooney, presenting ideas of using growth curves to estimate the ultimate amounts paid in insurance by some cohort of policies. The talk showed a model for these curves, discussed the implementation in Stan and how posterior predictive checks can be used to assess the output of the model. Thanks again to everyone who helped to make the event a success, particularly our speakers and Jon Sedar of Applied AI. We are planning to run another event in mid-June. Please get in touch via our Meetup site with ideas and talk proposals.